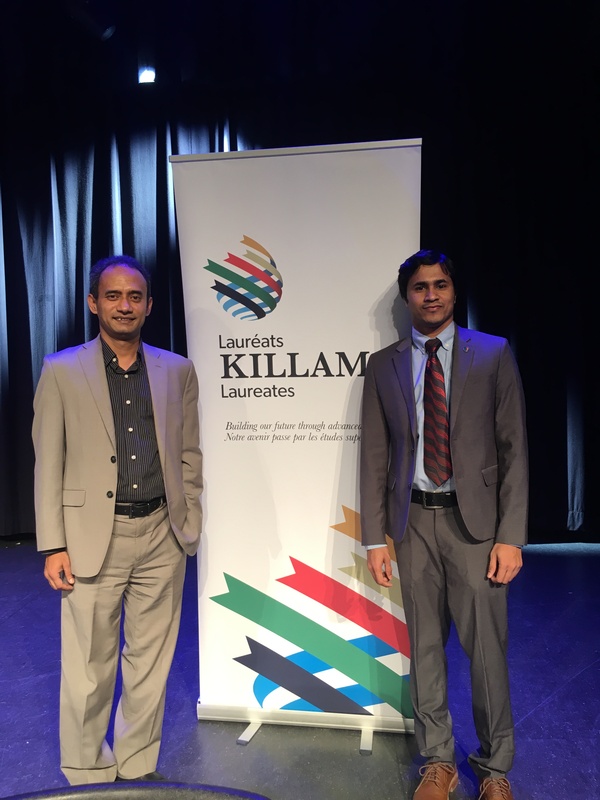 DalTRAC would like to acknowledge and congratulate MD Jahedul Alam, a Civil Engineering PhD student and DalTRAC researcher for receiving the Izaak Walton Killam Predoctoral Scholarship. 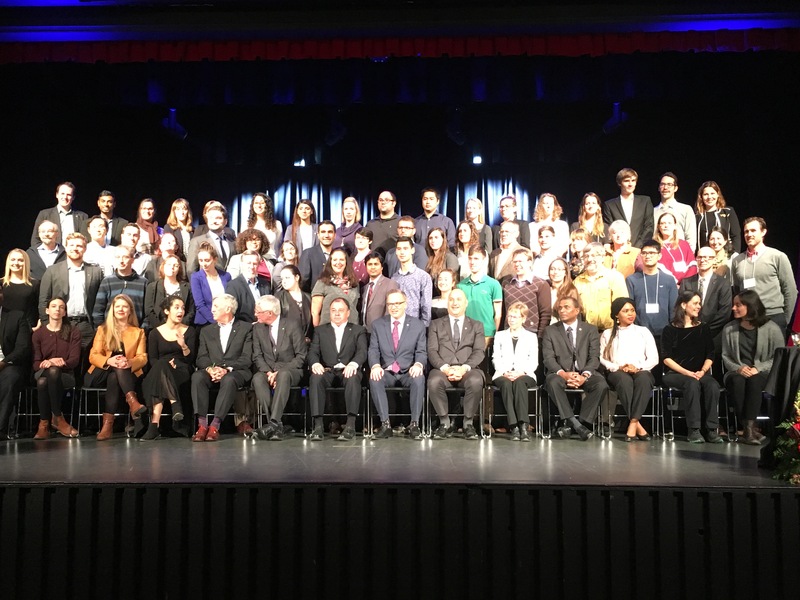 He presented his evacuation research at the Killam Celebration Luncheon, November 19, 2018. 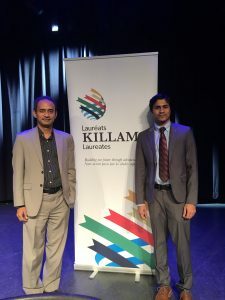 MD Jahedul Alam accepted the Killam Predoctoral Scholarship for his research on the “Development of a Mass Evacuation Microsimulation Model for the Halifax Peninsula”. 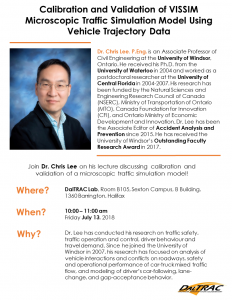 His research focuses on developing an evacuation traffic microsimulation model to understand the intricacies around how to evacuate the Halifax Peninsula due to flood risks during a natural disaster occurrence. He has developed a sequential modeling framework and methods to develop strategies for an efficient evacuation. 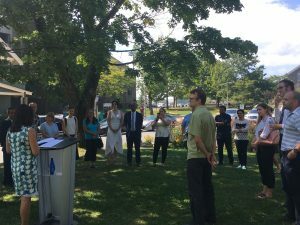 The research will help emergency planners to better prepare for a mass evacuation. 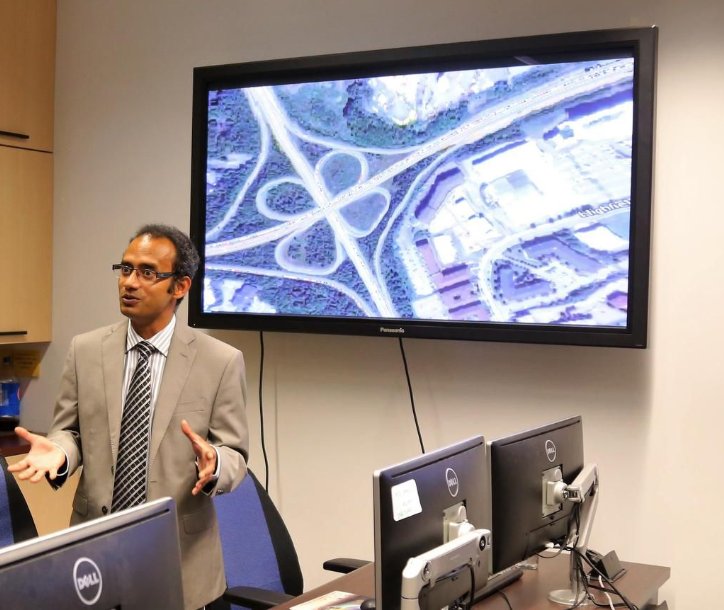 The DalTRAC team was featured in The Star Halifax’s news article on Friday, October 5th. 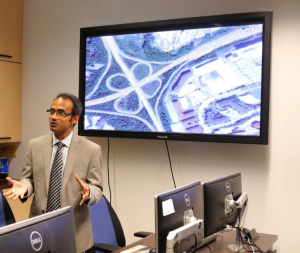 Our director, Dr. Habib, discusses the significance of modeling evacuation scenarios for the Halifax Peninsula. 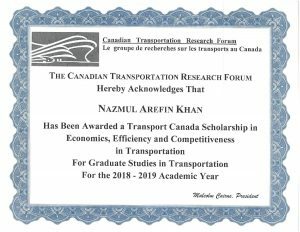 Congratulations Nazmul! One of our DalTRAC PhD students has been awarded a Transport Canada Scholarship in Economics, Efficiency and Competitiveness in Transportation. On Thursday August 30, Dalhousie University hosted an announcement of funding for the Halifax projects under the Department of Energy’s Connect 2 sustainable transportation grant program. 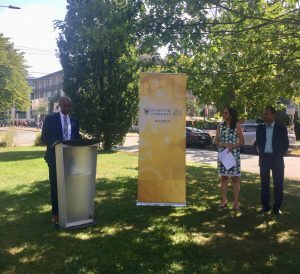 Rafah DiCostanzo, a Member of the Legislative Assembly, announced DalTRAC as one of the three Dalhousie-led projects to receive funding. 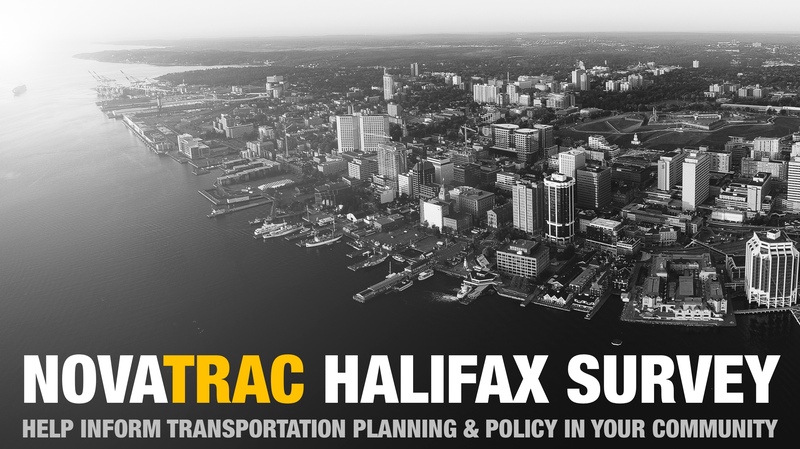 DalTRAC’s Connect Smart project will aim to increase awareness of shared mobility services and integration of future transportation options. From left to right: Dr. Ivan Joseph (VP Student Affairs, Dalhousie University), Rafah DiCostanza (Member of Legislative Assembly), and Dr. Ahsan Habib (Director of DalTRAC). Join us next Friday June 13 at 10am to hear Dr. Chris Lee’s lecture discussing calibration and validation of a microscopic traffic simulation model! 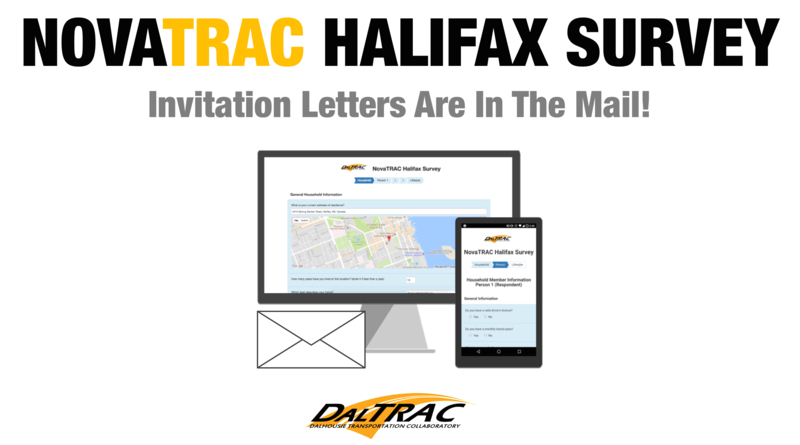 If you received an invitation letter, please participate in the NovaTRAC Halifax survey to help inform transportation planning and policy! 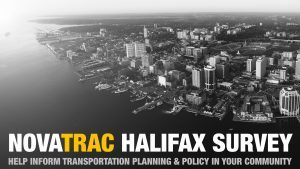 Want to learn more about the NovaTRAC Halifax Survey and why you should participate? Watch the PLANifax video below and let us know if you have any questions or concerns! 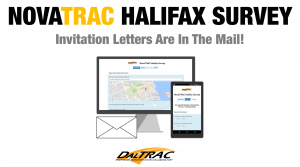 Invitation letters for the 2018 Nova Scotia Travel Activity (NovaTRAC) Halifax Survey are in the mail! The survey will collect information about your household and household members’ daily travel activities (when, where, why and how they travel) to inform planning and policy-making. 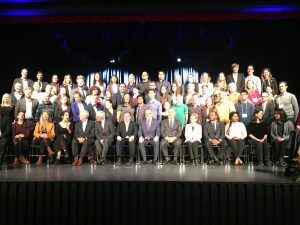 If you were selected or know someone who has been selected, please encourage them to complete the survey! Participation is entirely voluntary and information will be kept strictly confidential. There is also an opportunity to WIN a $200 VISA gift card or one of ten $50 VISA gift cards for every household survey completed.